Is a mere 140 kilometers (87 miles) from the capital of Andalucia and a wonderful day trip from Seville. You can arrive there by car in about an hour and a half, but perhaps it’s more convenient to catch the high speed AVE train, which takes about 45 minutes. Córdoba is full of many wonderful things to do and is definitely worth a full day, if not more. 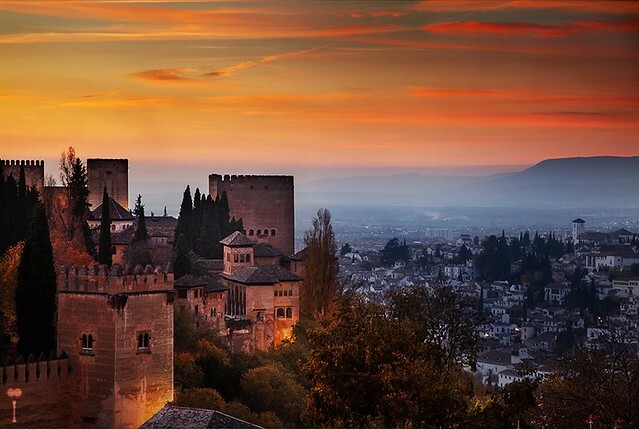 Is most certainly worth more than one day, but if you haven’t got time for that, it’s a quick jaunt from Seville, and you can have a packed day of the majestic Alhambra, tapas and exploring the beautiful hilly city. It is 250 kilometers (155 miles) from Seville, which is about two and a half hours by car. Is a wonderful beachside city, making it a perfect daytrip from Seville. 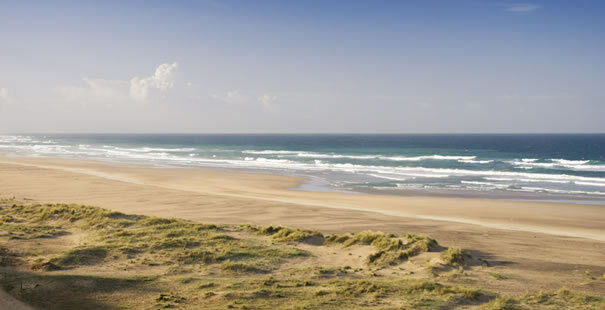 In Cádiz you’ll find beautiful beaches like Playa de Victoria and Playa de la Caleta. Away from the beach, you’ll run into picturesque squares and some of the freshest seafood in all of Spain. You’ll find Cádiz just 128 kilometers (75 miles) from Seville. Is another one of those magnificent pueblos blancos with its beautiful whitewashed walls and brown and red rooftops. This pueblo is quite close to Seville, just 115 kilometers (71 miles) away. Like many of the white villages, Arcos de la Frontera is built upon a hill, making it a lovely place to spend the day exploring and climbing your way up. Takes about a half hour to get to from Seville, and there you’ll find some beautiful sights to see. The first thing you must not miss is the ancient remains of the Roman Necropolis, with its beautiful entrance called the Tumba de Elefante. Apart from that, there are many wonderful old churches and squares to explore, and the city offers some wonderful traditional Andalusian fare. Located in the province of Huelva, makes a lovely daytrip from Seville as it’s only 90 kilometers (56 miles) from Seville. Aracena is known for its delectable ham made from the Iberian pigs raised there, and when you’re not munching on the delicious cured meat, you can stop to explore the amazing caves within the town. Is also a beach town in Huelva, and it’s technically the closest beach to the city, making it a first-rate choice for a daytrip from Seville. Expect to find a lovely beach, delicious seafood and a relaxing break from the city. Is one of the most famous pueblos blancos that Andalucía boasts and the perfect daytrip from Seville. Ronda is home to what’s said to be the oldest bullring in all of Spain, and it’s also got one breathtaking view that can’t be missed – a beautiful bridge built right down into a plummeting gorge. You can choose to take a route of all the magnificent pueblos blancos of Andalucía, or simply make a daytrip from Seville, as it’s only 130 kilometers (80 miles) away. Is a lovely little beach town not far from Seville, and it makes a perfect day daytrip if you’re looking for a bit of sun, waves and relaxation. Although it’s in the province of Huelva, it’s only 136 kilometers (85 miles) from Seville, and the little drive will be well worth a sun-filled day spent at the beach.